I know, I know your SUPER jealous. All of the advice we had heard and read online suggested letting the wood “season” for a year before treating it. 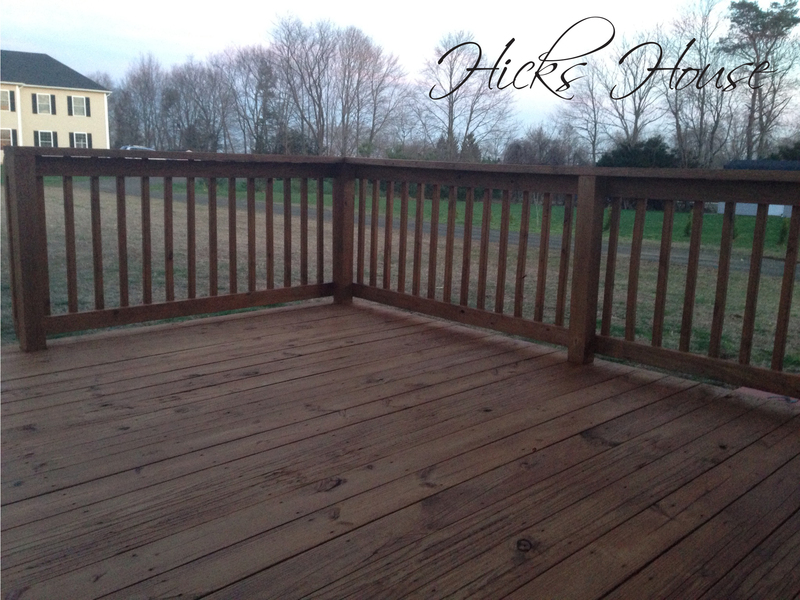 Since we bought our house last June and the deck was already there we figured it had been about a year, and if it was going to get done this year it needed to happen before we put patio furniture on it. We decided to go with this stain. Ken did LOTS of research and the reviews were heads above any other brands. The only catch? They didn’t sell it in any stores anywhere near us so we had to buy it online. Which meant we also had to just choose a color without seeing any in person samples at the store. 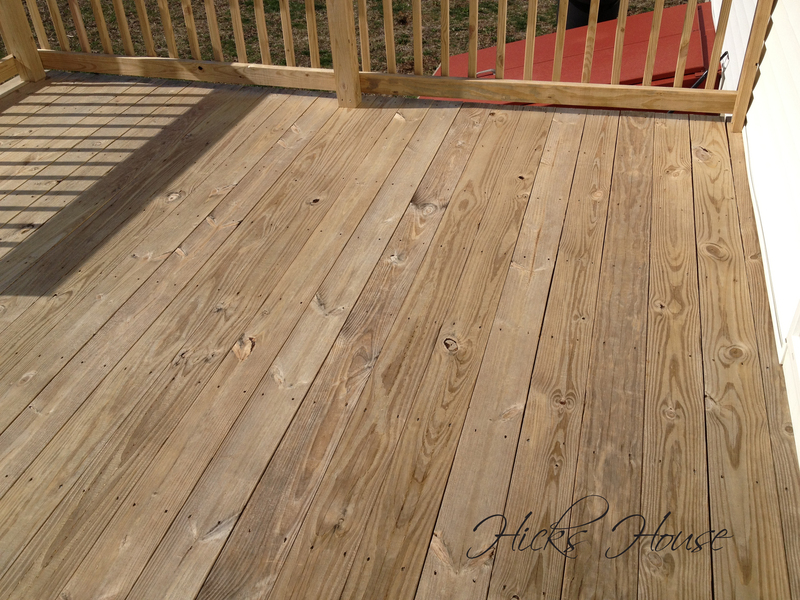 What we really wanted was gray and white Trex decking… but this is real life where money doesn’t grow on trees and we are not rebuilding a perfectly good one year old deck. So we went with the light walnut color. We wanted it to be darker than the super light natural wood but not red or super dark. 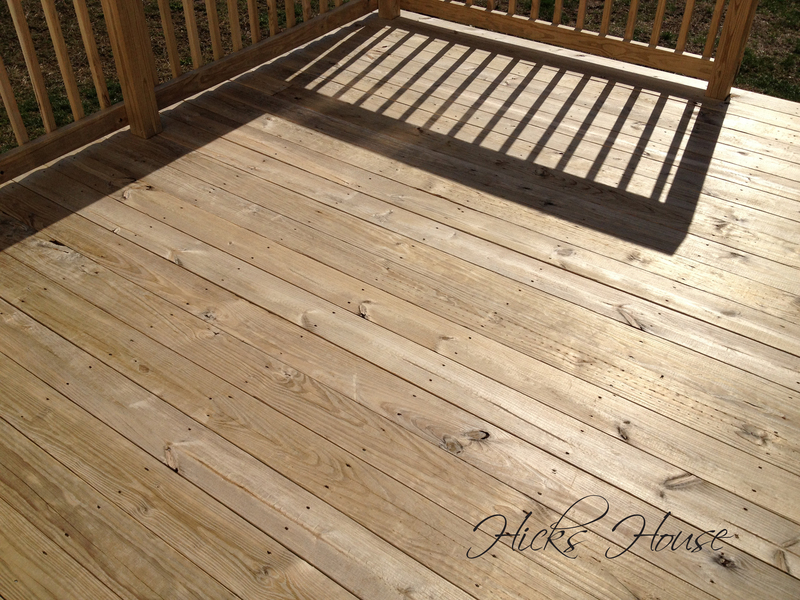 So the three day process began with Ken cleaning the deck then brightening the wood. After that we let it dry for two days. 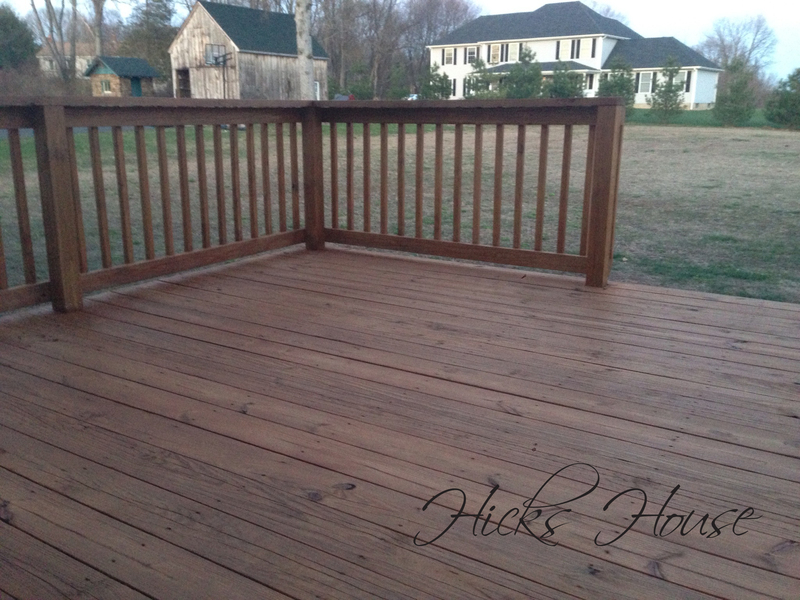 Easter was the actual staining day. He went out to get started at 10 am and didn’t finish until 7pm. Needless to say it took WAY longer than either of us anticipated. We both thought it would maybe take 4-5 hours. Way, way wrong. It also ended up coming out much darker than we envisioned. Although slightly darker than intended I think it looks good. With all the rain we’ve been having the last few weeks we’ve been able to see the stain in action as the water just beads up on the surface rather than sinking into the wood. 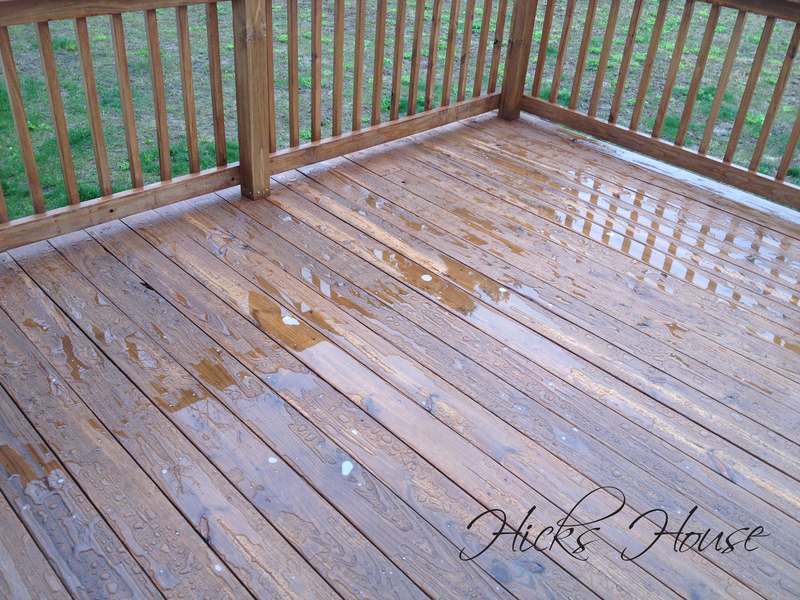 All this rain has also prevented us from putting out our patio furniture and actually enjoying the deck… but at least the stain is working. Categories: Outside, The Hicks | Tags: back deck, deck, deck stain, defy deck stain, diy, outdoor living, wood treatment | Permalink.